If you’re looking for a no-fuss, quick and easy, delicious cake that’s great for pot-lucks, bake sales, or just a yummy dessert for no reason at all, this is it. What I think makes this cake so perfect is that it doesn’t require frosting of any kind. It’s just loaded with oodles of cinnamon and sugar giving it a little bit of sweet, but not enough to make your teeth hurt. The other reason this cake is perfect is that it can be whipped up in about an hour. Make sure you have an Angel Food Tube Pan for baking this cake. I have only ever made this in a tube pan, so I don’t know how it would turn in any other pan. I know it would not work well in a bundt pan because it would get too crusty on top. You can use a hand-mixer or stand-mixer, whichever you prefer. I love my Kitchen Aid Stand Mixer, so that’s what I use. In a separate bowl, mix flour and baking soda together. Set aside. Cream butter and sugar together. Then beat in eggs one at a time. Add sour cream and milk and mix together. Slowly incorporate your flour mixture and mix until well combined. Be sure you cover your mixer or you’ll have flour all over! Add in the vanilla, then add chocolate chips and mix just enough to get the chips in there. Bake at 375 degrees for 45 minutes. Be sure to use your cake tester to make sure it’s baked all the way through. It should start to crack a little on top when it’s done. Let cool for a few minutes before removing center of pan. Take center of pan out and let cake cool completely before removing it from the tube. I find it easiest to take a silicone knife around the bottom of the cake and then just lift it off the tube. Transfer to your favorite cake plate or cake carrier and get ready to enjoy with a cup of coffee, tea, or hot cocoa! Happy Little Wife is a participant in the Amazon Services LLC Associates Program, an affiliate advertising program designed to provide a means for sites to earn advertising fees by advertising and linking to amazon.com and affiliated sites. That’s right, You’re just “plane” awesome! << Grab the file here. Kids will love a build-your-own airplane attached to this topper! 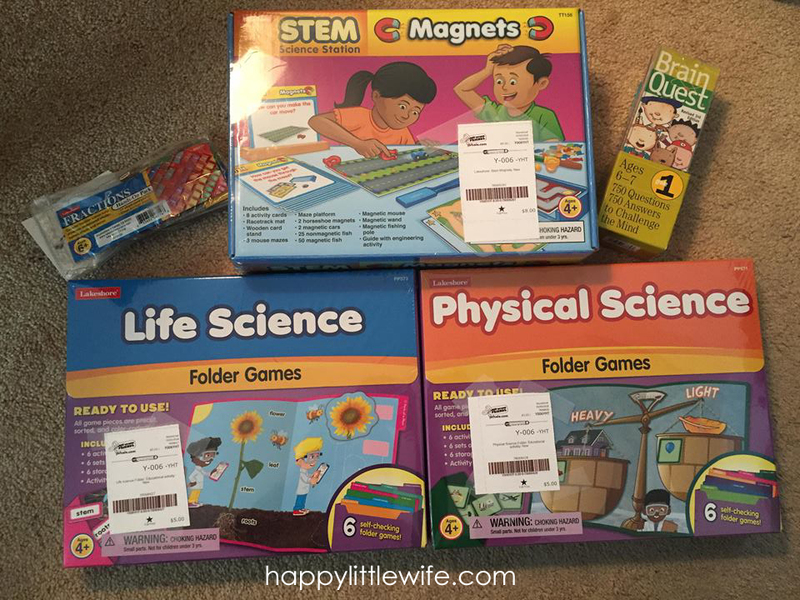 These are a pretty sweet deal, and you’ll have enough for the whole class! Pick up this topper here: Color Your Heart Out! You can add your own homemade heart-shaped crayons by melting down crayons in these silicone molds. Get this one here: You make my world COLORFUL! Don’t have time to make heart-shaped crayons? No problem! These packs of crayons will look just as cute in your treat bag. Grab this You’re Out of this World topper here! And tell me what kid wouldn’t love their own little Rocket Launcher? Get this one here >> Will you “o-fish-ally” be my Valentine? Add a little fish squirter and you’ve got yourself a cute little treat! Seriously, all kids love to play in the water! The bus driver might not love you for this one, but the kids sure will! These are some pretty good train whistles… trust me, my kids have them! Bouncy Balls or Inflatable Balls would be great for this topper. You could add any kind of little construction vehicles to complete this treat. Hope Your Valentine’s Day is Loads of Fun! This treat will be loads of fun with these stampers! These just might be my personal favorite topper and I love these little notepads and pencils for this one! Or keep it simple with these erasers! So there you have it, 10 super cute and super simple non-food Valentine’s Day ideas. Fluttering Creations also has other options available, so check them out and let me know if you came up with another idea. I’d love to hear it! You can also use Coupon Code HAPPY for 20% off your Valentine’s Day topper purchase! My six year-old son is allergic to peanuts, tree nuts, blueberries, watermelon, grapes, and red dye 40. He is also severely allergic to dogs (dander and saliva) and cats and has seasonal allergies too. In addition to his allergies, he also has asthma and eczema. I can handle the seasonal and pet allergies because they can be managed to a degree with allergy medicine. But the food allergies… those are another story. Food allergies are a struggle no matter how many you have. Having asthma on top of food allergies is also scary because children with both conditions are more likely to have a more severe reaction. For those who aren’t familiar with food allergies, let me tell you what it’s like being a mom to a child with food allergies. We worry. We worry every single time our child eats or drinks something new. Sometimes we even worry about things our children have eaten hundreds of times. We research. We make phone calls and send emails to manufacturers to find out how products are made. Are the items made in a facility that contains our child’s allergen? Are there shared lines? Is there a dedicated line or facility? We pray that we will get the answers we need, but we don’t always because the manufacturers don’t have to disclose all of that information. They simply have to label for the top 8 allergens if the product actually contains it, but not if it “may contain.” Do you know how frustrating and scary this can be? We memorize ridiculous codes. Yes, ask me what 24000 means and I’ll tell you it is the number of the peanut free Hostess plant. I can also tell you that ELZ on a bag of Dove Chocolates means those were made in a peanut free facility. I can tell you the code above the UPC for the “safe” butter at Walmart. I could go on, but you get my point. We cringe every time we are invited to a party or a function where food will be served. We don’t want to exclude our children, but we know that more than likely our child is going to be around his/her allergen. We are going to have to tell them they can’t eat what everyone else is eating and we will whip out a bag of “safe” food for our child. We become bakers and chefs. That’s right, we are self-taught bakers and chefs. We do our very best to learn how to bake and decorate cakes and cookies so we know exactly what goes in them and that they are 100% safe. We learn how to cook dishes that contain only safe ingredients. We prepare for parties by using our baking skills. How else will our children be able to attend a party or event if we don’t make their own safe cupcake? Most moms keep a batch of safe treats in the freezer so when a party pops up we can grab a safe treat and go. Imagine the burden we take off the host by making sure our child has their own safe good. We carry an Emergency Kit. We are always armed with sanitizers that actually wipe away the proteins of our child’s allergen, epinephrine will be within reach, and we will watch our children for any signs of a reaction. You know, in case Susie didn’t wash her hands after eating that peanut butter cup or piece of pizza. We can tell you every other name for our child’s allergen. Did you know that arachis oil is another name for peanut oil? You do now! We try really hard every day. We try not to panic. We try to stay calm. We try to let our children live normal lives. We try not to allow them to be excluded. We do our best. We love our children with all our hearts and don’t want to lose them because of food. So the next time you are asked to refrain from eating something in the presence of a child with food allergies, think how much worry you are taking off that child and his/her mother. When there’s a party and your food-allergic guest brings their own food, be thankful. Think of the burden they just took from you. Now you don’t have to worry that the child will react to something you made. While we appreciate the efforts that others will make for us to say that they have made something “safe,” know that it is often hard for a food allergy mom to accept. We worry if there was any unintentional cross-contamination. We worry about the brands of ingredients that were used. For example: While flour is flour to most people, as a peanut-allergy mom I know that only King Arthur flour is safe for my child. Remember this: Food allergy moms aren’t being crazy or rude. We are protecting our precious children. Be understanding and think what you would do if you were in their shoes. Be on the lookout for another post later today with some non-food Valentine’s Day treat ideas! You can also subscribe so you don’t miss it! Having a good home-cooked meal doesn’t have to break the bank, take hours to prepare, or involve every pot, pan, and gadget in the kitchen. And that’s why this Easy Sweet & Sour Chicken is a favorite of mine. I can have this meal on the table in about 30 minutes, which is a complete win in my book. Cut chicken into cubes. Place in sauté pan and cook until no longer pink. Cover with chopped onions, peppers, and pineapple chunks. Pour in jar of sweet and sour sauce and stir together until everything is well-coated. (I added a little water to the jar, shook it up, and got every last drop out!) Cover and simmer for about 20 minutes, stirring frequently. If sauce is too thin, mix a tablespoon of corn starch with 1/4 cup water and stir until thickened. Serve over rice. TIP: I like to buy a big bag of peppers and chop them up, place in freezer bags and keep on hand for meals like this. It saves me the extra step of washing and chopping! This meal is not only easy to make, but it’s delicious too! Disclosure: I have not received any compensation for writing this post. 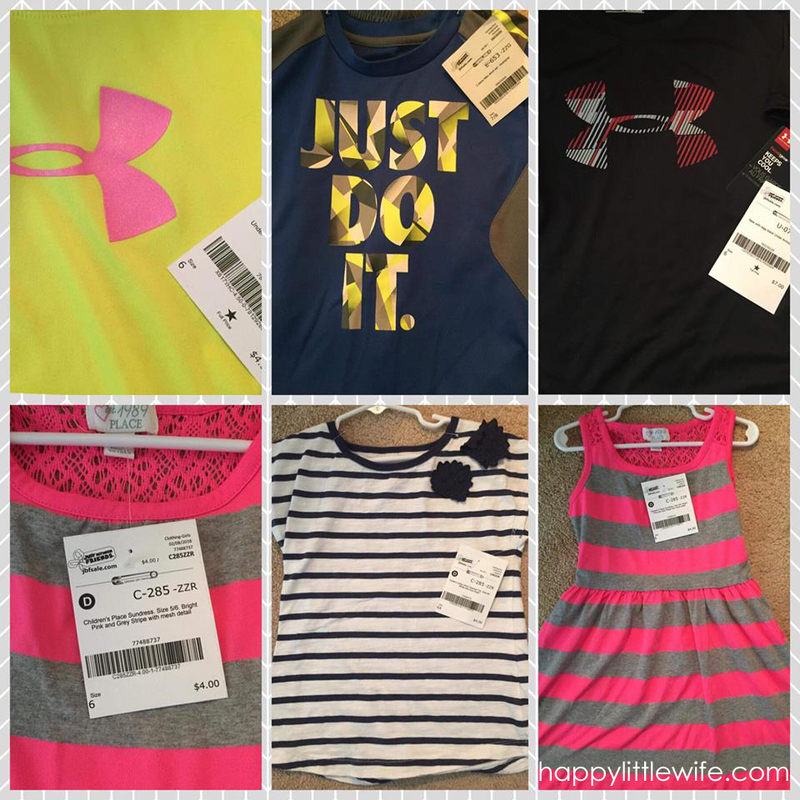 I have no material connection to the brands, products, or services that I have mentioned. As you may already know, I am in love with my Classic Happy Planner – so much so that I purchased a Mini Happy Planner for on-the-go. I didn’t have a Happy Planner Memory Keeper, so naturally when I was asked what I would like for my birthday this year, I quickly said, “A Memory Keeper!” I’ve been keeping little notes in my Classic Happy Planner about things that have happened, but realized I would love a way to document happenings in our little family without it being an overwhelming task — like old-school scrapbooking. Everything seems to end up on social media these days and there’s nothing to actually pick up and flip through. The Happy Planner Memory Keeper is an undated planner that has larger blocks to write/journal, add stickers, washi tape, and photos. Photos. That’s fantastic. I can add photos to my Memory Keeper, but the boxes are 2×3. I’m completely capable of resizing photos to print two on a 4×6 page or making an entire 8.5×11 sheet of little pics, but this would involve more work. 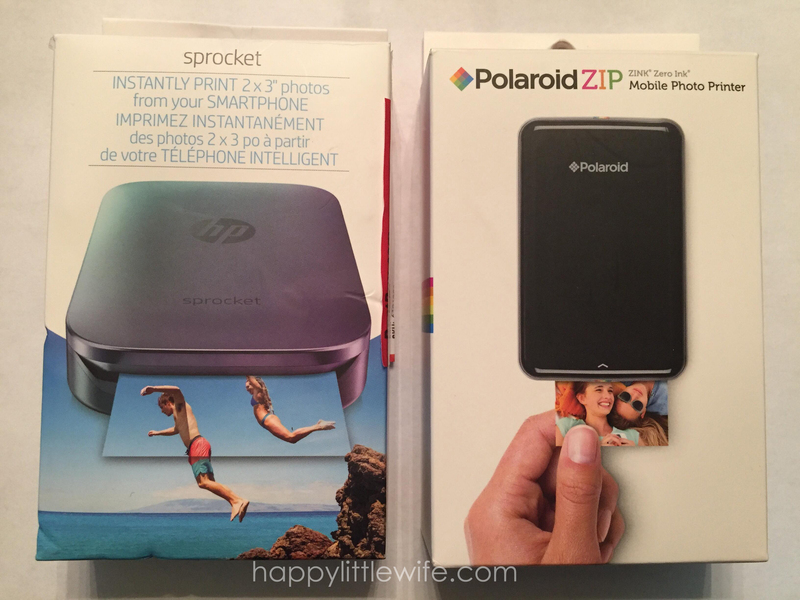 I knew all about portable printers and had hinted for one around Christmas time, so when I said I wanted a Memory Keeper, my husband took that as the perfect opportunity to surprise me with a Polaroid ZIP Mobile Photo Printer. I honestly never expected one and figured that I would be resizing and cutting pics for my new book, but my hubby knows me well and knew that I wanted this to be an enjoyable task and not something that would create more work for me. I was super excited when I opened up the little box and saw a mobile printer. I couldn’t wait to try it out. I plugged it in and charged it up and printed a photo of my son with his birthday cake. (His birthday is the day before mine and this would be one of the first events I would be documenting.) The set up was very simple – I charged the device for about an hour, downloaded the Polaroid app on my iPhone, loaded the ZINK paper, and printed a pic. For those of you who don’t know, these mobile printers use ZINK technology (Zero Ink) — there are no cartridges, no ribbons, no ink! All you need is ZINK paper. The paper is 2×3 and has a sticky back so it’s ready to stick to your page. As you can see, both printers are almost identical. Same size box. Same size device. Same ZINK technology. Same size paper – 2×3. Both require you to download an app on your phone to print pics. Now here was the real test. I had already printed two more photos with the Polaroid, so I chose the same photos (to be fair) to print on the HP. 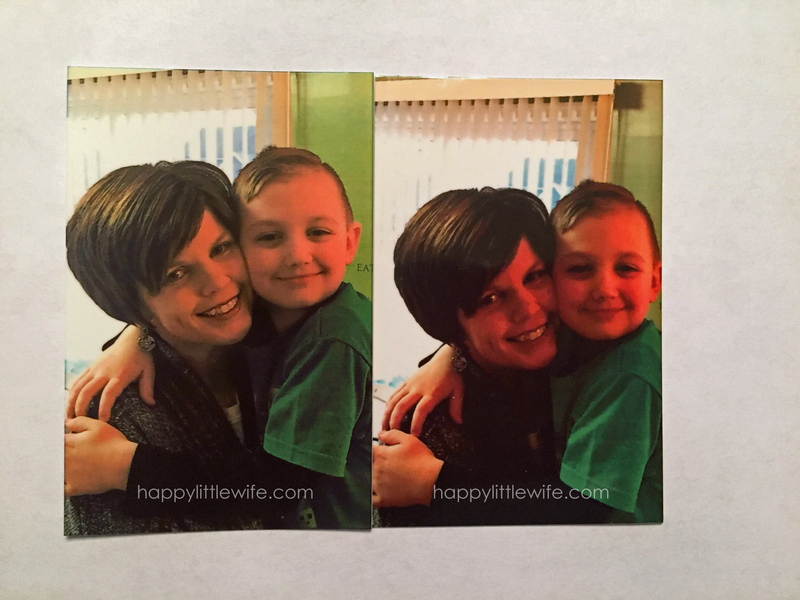 The photo on the right was printed with the Polaroid ZIP – we look like we got a spray tan and counted Mississippi’s! 😉 (My “Friends” fans should get the reference.) 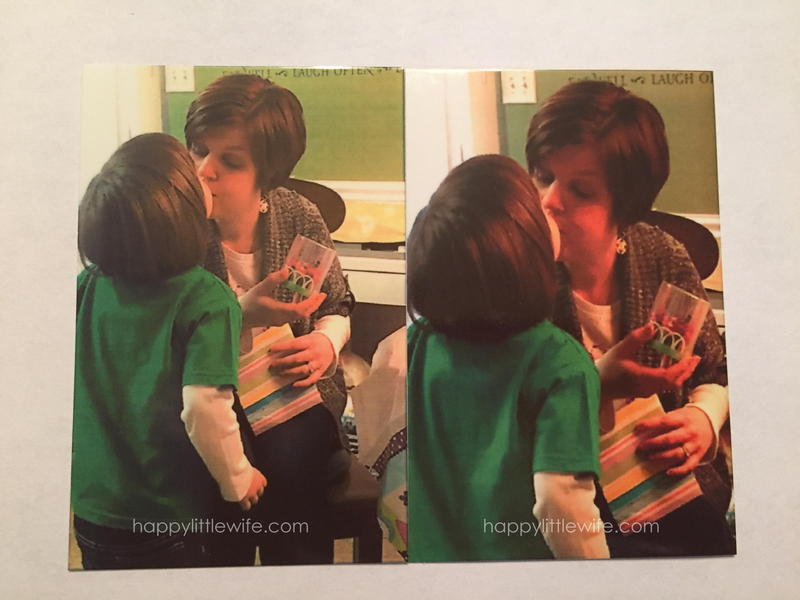 The photo on the left was printed with the HP Sprocket. As soon as the photo was coming out of the printer I could tell it was going to be better because I could actually see the color variations and texture in my sweater. The only difference with this photo is that I had zoomed in on the one on the right before I printed it with the Polaroid ZIP. The photo on the left was printed with the HP Sprocket. Again, the color is off with the ZIP. Some reviews that I read said that the color issue can be corrected if you lighten the photo on your phone before opening it in the app and printing it. I’m not trying to make this any harder than it needs to be. I want something that I can use with little effort. I want my Memory Keeping to be a hobby – something for me. Something fun and enjoyable. Not another chore. I have enough of those. 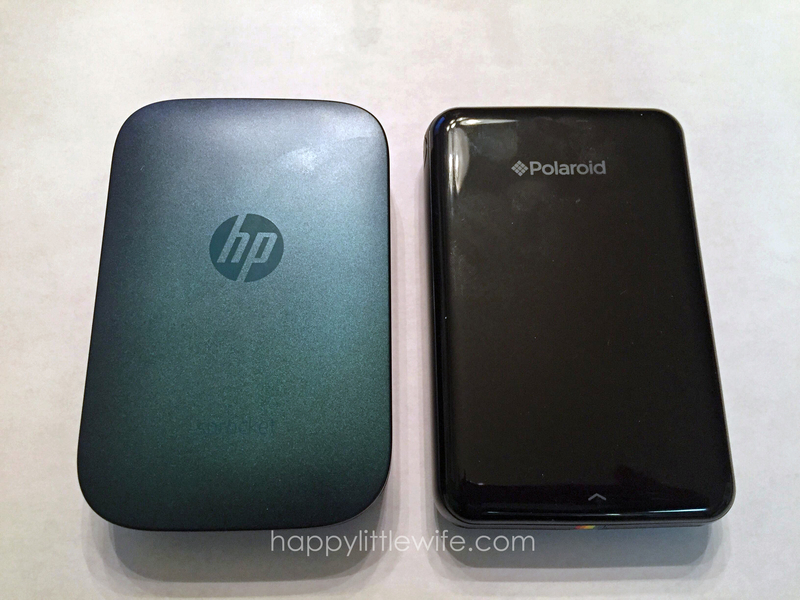 You can be the judge and choose which one you like best — and if a more “vintage,” “true polaroid” feel is what you’re after, that may be the device for you, but for me, I want something more true to color with plug and play capability. Posts on Happy Little Wife contain affiliate links. When you make a purchase through an affiliate link, your price will be the same, but Happy Little Wife will receive a small commission. Thank you for supporting me. Disclosure: This post has been sponsored by Cars.com. All opinions are based on my own experiences. Summer is right around the corner and if you are anything like me that means you’ll be spending a lot of time in your car whether you’re travelling to the beach, the park, on a family vacation, or taking day trips to soak in the sun. The last thing you want is car troubles to spoil your fun. It’s important to properly maintain your car, especially at the start of the season. You can take your car to your local mechanic or service center, or you can save yourself a few bucks if you’re the DIY type and check cars.com for some awesome tips and instructions to keep your car running smoothly. I’ve put together this simple list of things to check before hitting the road. Check your battery. It may need charging or replacing. If you live where there’s snow, be sure to give your undercarriage a good cleaning from all the salt build-up. Check your tire pressure. Remember: Tire pressure changes with the temperatures. Get an oil change. You want your engine to run smoothly. Check your owner’s manual for your car to see how often you should change your oil. Replace Windshield Wipers and check Washer Fluid. There’s nothing worse than dirty, streaky windows in the bright summer sun. Check your Air Conditioning. It’s best to have a professional do this! No one wants to be stuck in traffic with no AC! In addition to making sure your car is properly maintained, it’s also important to pack a few things in your trunk for “just in case!” I always make sure we have a tool kit, a first aid kit, and a flashlight. Of course, you’ll want to make sure the outside of your vehicle is squeaky clean too! And last, but not least, if your precious cargo likes to destroy the inside of your vehicle, you need to check out these tips to manage a messy car. As I’ve mentioned before, I love to plan my meals for two weeks at a time. It seems like a lot, but it really takes the stress out of thinking about dinner every day. Think about it: I take 2 days every month to plan meals and I’ve got the whole month covered. In addition, I make my grocery list when I make my meal plan. So I’m doing “big” food shopping twice a month. I do still have to run to the store to pick up a few things each week like milk, fruit, and bread, but at least it’s a quick trip – in and out. I bet you’re wondering how long this “meal planning” takes. Since I’ve been doing it for a few years now, it only takes me about 60 minutes. So how do I plan these meals? Like many of you, I spend time pinning recipes, so I have lots of recipes pinned that are favorites and then there are some that I want to try. I typically go to my boards and pick out what I want to make. I check the recipe for ingredients and start adding items to my grocery list. I write down every ingredient needed and then do a quick pantry check when I’m finished my list to see if there’s anything I don’t need to buy. What about the recipes? I print them out if I need them. If I’ve already made the meal, I already have the recipe printed. A word of advice: If you find a recipe you LOVE, make sure you SAVE it! Print it and put it in a safe spot or copy and paste it into a document and save it on your computer. Do not think just because it’s on the internet it will stay there. Sometimes recipes disappear. Trust me. I had it happen to me and it took a lot of digging for me to find the original that I loved. I’m going to share our Meal Plan for 2 Weeks. I’m warning you… we like chicken. We eat a lot of chicken prepared different ways. Each recipe can be found through my Pinterest boards, but I’m going to link to them here to make it easier. Sunday: Alfredo Soup – I like to prep this one the night before or earlier in the day so that it’s less work at dinner time. Thursday: Ravioli Bake – Super easy “go-to” meal that can be prepared in about 10 minutes and there’s only 1 dish to clean! Saturday: Loaded Potato Soup – I’ve tried a lot of potato soup recipes and this one is thee best in my book. Monday: Chicken Fajita Bubble Up Bake with Cilantro Lime Rice – This meal is one of our favorites! I also like to use my Homemade Fajita Seasoning for this . This is another meal I like to prep the night before or earlier in the day. If you prep it ahead of time, just put the seasoned biscuit pieces in a separate bowl until it’s time to bake the dish. Friday: Chicken Tetrazzini – This is one of my husband’s favorites. Raise your hand if you look forward to grocery shopping. That’s what I thought. 1.Keep an ongoing list handy – whether it be on the fridge or in your planner – and jot down items as you run low or run out. This saves so much time! There’s no checking the pantry as you are ready to walk out the door. 2. Meal Plan! Plan menus in advance so you know what you have on-hand and what you need to shop for. Be sure to check recipes for special ingredients so you are prepared. 3. Before leaving home, put your grocery list in the order of the aisles at the grocery store. If you aren’t a frequent shopper (because you’re more of a delivery kind of person), break your list down into sections: Produce, Dairy, Canned Goods, Dry Goods, Deli, Meats/Poultry, Household, Snacks, Drinks, etc. This will keep you from circling the store! 4. Use a Coupon Organizer and arrange your coupons in alphabetical order or according to your store’s aisles. 5. Shop early! There is the least amount of traffic in the morning and you’ll get the freshest meats and baked goods! 6. Park close to the exit doors. You won’t have to push a heavy cart as far… unless of course you’re trying to sneak in a work-out while grocery shopping. 7. Shop with a partner. Grab your husband/boyfriend – or if you have teens – and split the list. Make it a team effort to grab everything on your list and meet at the check-out. 8. When loading the grocery belt, put the items in the order in which they’ll be bagged. Keep like items together to make it easier to put away when you get home. And don’t forget to put the bread and fragile foods, like eggs, last so they end up on top of the cart. These simple tips will keep you on track and save you time the next time you have to grocery shop. Do you have a tip for saving time at the grocery store? I’d love to hear it! I’ve seen several posts on social media over the past few days about planners. Most of the posts were asking what kind of planner others use and why. I noticed a lot of comments from people asking why someone would want to use a paper planner instead of an app, to-do list, or calendar on their phone. I even had a discussion with a friend the other night about my planners and the person thought I was crazy for wanting to “write” stuff out when I have a computer that could very easily organize all my information. I have been using a Classic Happy Planner for two years now and I love it. I actually decided this year to add a Mini Happy Planner to the mix. My Happy Planner is mostly for myself – I put everything in there that I need to do to take care of the house, the kids, and my online business. I picked up a Mini so that I could keep track of our bills and other important information that doesn’t make me quite as “happy!” I understand that some people think it’s silly with all the technology at our fingertips these days, but here are my Top 5 Reasons for Using a Paper Planner (or two)! There’s something about writing things out that makes me more productive. I like to think about what I want to accomplish in a day or week and write it out. Once it’s written, I look forward to completing the task – no matter what it is – so I can check it off. It holds me accountable and putting that little check mark next to the item makes me feel good! I like to plan my week out on Sundays. I write in everything that’s going on that week – appointments, phone calls that need to be made, bills that need to be paid, chores, meals, projects, activities for the kids, and family activities. I am currently trying to drink more water, so I made a small tracker to add to my weekly spread that I can track how many glasses of water I drink in a day. I also want to make more time for myself, so I am going to attempt to write one thing I’ve done for myself every day. I know a lot of people like to track other things such as fitness, foods, moods, etc. These are all terrific ideas and, who knows, maybe I’ll add something else in as the year progresses. That’s right, I want to use a paper planner because it isn’t on my computer, phone, or tablet. I spend enough time on these things for business, shopping, and social media. It’s a nice break. It gives me some time for myself at least once a week and I get to have a little creative/crafty time. Between stickers, washi tapes, and pretty pens, I’m all set! So there you have it – My Top 5 Reasons for Using a Paper Planner! If you use a paper planner, I’d love to hear your reasons.